Until January 7, 2017, Cristiano Ronaldo was arguably the most famous Portuguese personality in India. This changed when Portugal’s current Prime Minister António “Babush” Costa came on a state visit. The reason for this shift in emphasis was Costa’s supposed‘Indian roots’. On a visit to boost bilateral ties, inter-governmental cooperation, and Portuguese business opportunities, Costa’s ‘Indian roots’ received a lot of attention. Costa himself did not shy away from proclaiming his pride for ‘Indian origins’. Both Costa and his Indian hosts seemed pleased that he was the first person of “Indian-origin” to lead a country in Europe. As a symbolic gesture that would unfailingly win him admirers amongst Indians, Costa displayed his PIO or Person of Indian Origin card to the audience, during the course of his joint press statement in New Delhi and his address in Bangalore. But to insist and hark repeatedly to Costa’s “Indian-origins” is to commit a gargantuan historical error. In fact, Costa’s visit to India and his use of symbolic acts like affirming his Indian roots and displaying his PIO card offers us the opportunity to deepen our understanding of issues of homecoming and belonging, especially since the issue of dual citizenship is heating up. The legal anthropologist and Herald columnist Jason Keith Fernandes spoke to a Portuguese news portal and claimed that the notion of “Indian-origin” as applied to a person like Costa is in fact “quite racist”. It is so as “those acclaimed as Indians, such as Costa, often do not have Indian origins, that is, they have no origins as citizens of the Indian state. The term Indian is being extended to people who have ethnic origins in territories today claimed by the Indian state”. Fernandes makes a critical distinction between ethnicity, which is the staple of racial politics, and legal identities. Thus, in Costa’s case, his father, the writer Orlando Costa, was born a Portuguese citizen in Mozambique and raised in Margao before 1961. His mother Maria Antónia Palla is Portuguese. Thus one could argue that Costa is ethnically half Goan and half Portuguese. To think of the issue more deeply, it appears that Costa has origins and roots in multiple locations: in Goa, in Mozambique, and Portugal. He can justifiably claim to belong to each of these places. Perhaps Costa could do the same things, that is, similar public celebrations of his ‘local’ identity, in Mozambique as he did in India/Goa. When one thinks of ‘ethnic origin’ and ‘nationality’, the celebration of Costa’s “Indian-origin” appears to be problematic. With the current laws of citizenship in place both in India and Portugal ethnicity does not necessarily translate to nationality, and therefore citizenship. 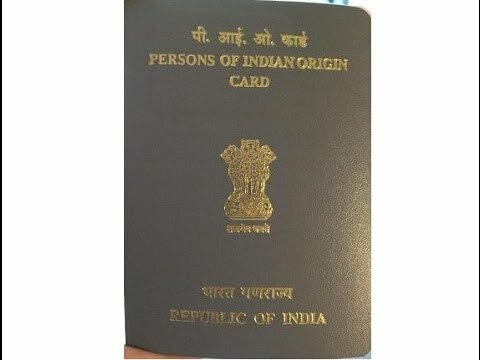 A person born in Goa today automatically gets Indian citizenship by birth, but if they opt to reclaim their Portuguese nationality the same person is only entitled to be a PIO. If one chooses (Indian) ‘ethnic’ origins then one cannot claim (Portuguese) ‘nationality’. Therefore, for a large number of Goans homecoming and belonging are not necessarily a matter of pride or celebration; it is more of a legal mess that one has to negotiate. While the Indian government is using Costa’s roots to promote economic interests, it is ignoring other crucial problems that beset people who are Indian nationals. When Goans demand their right to dual citizenship, given the particular history of Goa, and in order to have greater (and easier) mobility to access jobs while at the same time stay connected to Goa where they have roots and ties, the Indian government acts as if this is unimaginable. While one arm of the Indian government is busy promoting economic interests and closer ties with Portugal via an ‘Indian’ PM, another arm, i.e. the election commission, is poised to delete thousands of Goan names from its rosters, thereby forcibly breaking links that Goans have with Goa. This doesn’t make sense because, like Costa, the many Goans who have opted to reclaim Portuguese nationality are socially, economically and emotionally invested in Goa. Like Costa they still have family here, and they visit Goa as often as possible. And like Costa they too should be allowed to belong to two or three places. Indeed, as Fernandes put it, they are not going from Goa, and India, but only coming back. Their departure is the result of their being forced out by the Indian state. While Costa’s visit may have indeed been a moment of great celebration of Goan identity – the easy-going Costa surrounded by throngs of adoring admirers in the streets of Panjim and Margao was a sight to behold – it also exposes the fragility of this Goan identity, sandwiched between an Indian order that erases its history, and a global order that seeks to curtail human migration as much as possible. In both instances the rights of Goans (either as dual citizens or not) get severely underrepresented and unrecognized. Goan identity loses when it comes to the promotion of large-scale business interests. What this means is that the average hard-working Goan loses out. In a racist and indifferent world, the contribution of the Goan migrant is deemed to offer states and global orders nothing in particular. This is surprising as the remittances of the Goan migrant, one of the highest in the country, keeps (and kept) the Goan economy afloat and contributed foreign exchange to the coffers of India. To not accept Goans and their history, while celebrating Costa and his history, is to treat them as disposable commodities. Costa’s visit needs to be remembered for precisely this reason.